Floats may be a fundamentally simple aspect of CSS, but that doesn’t keep them from being useful and powerful. As you’ll learn in this practical guide, floats fill a vital and honorable niche, allowing the placement of content to one side while the rest of the content flows around it. 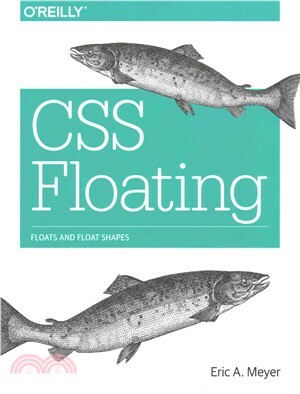 Author Eric Meyer provides several options for using CSS floats, and shows you why you’re not limited to square float boxes any more. Short and sweet, this book is an excerpt from the upcoming fourth edition of CSS: The Definitive Guide. When you purchase either the print or the ebook edition ofCSS Floating, you’ll receive a discount on the entire Definitive Guide once it’s released. Why wait? Learn how to bring life to your web pages now.